This is pretty special and not just because it’s the result of the blood, sweat and tears of my favourite hair salon here in the heart of Yorkshire – Tag Hair. I’ve been hearing about these for almost a year and now they’re finally here! 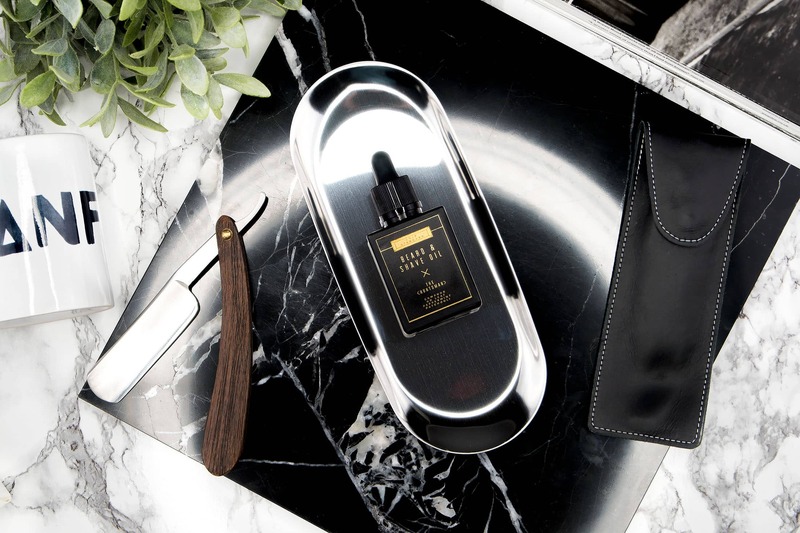 Gold Standard Beard & Shave Oils are a collection of three oils that can be used as facial hair moisturisers, and shaving lubricants – like the new TOM FORD Shave Oil. The three, all of which are locally made using only natural base oils and essential oils, consists of The Artisan; The Craftsman and The Huntsman. Each are priced at £14.95 / 30ml. Each oil has a base of castor, grapeseed, jojoba, macadamia, coconut and sweet almond – oils which are very lipid/fat rich but won’t sit greasy on the skin or beard. This is my and everyone else’s favourite. The Artisan is fragranced with orange, grapefruit, benzoin and rosewood to give it the most beautiful balance of soft cream and mouth watering edge – I would wear this as a fragrance if I could. The Craftsman is the zingier of the three with skin cooling peppermint, tea-tree and lime oils. This is perfect for anyone who suffers from spots and blemishes after shaving as all three work together as natural antibacterials. Peppermint is also brightening as it helps boost micro-circulation at the surface of the skin. The Huntman sits in-between the two with a very herbal fragrance that everyone will love with patchouli, white camphor. peppermint and ho leaf (lol). I think if you’re buying one of these for someone else, this is your safest option to go for, it’s truly gorgeous! 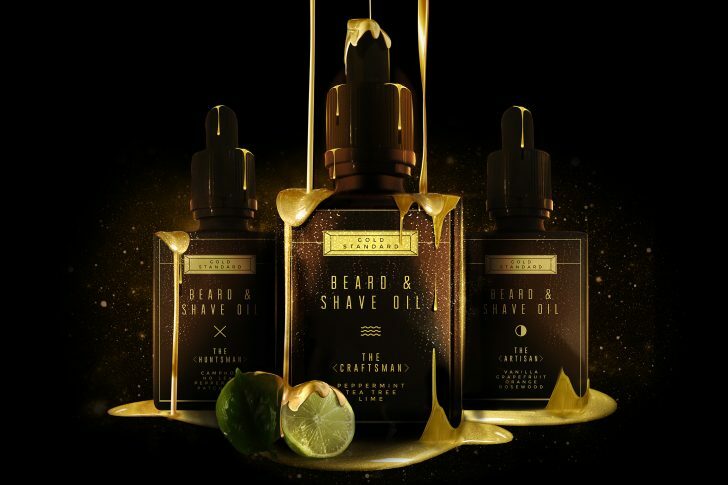 All three of the Gold Standard beard oils are available here from the Gold Standard online shop for £14.95 with free P&P. For the launch of these three, I’m hosting a giveaway to give 3 winners the chance to win an oil of their choice! To enter, all you have to do is use the Rafflecoptor form below and 3 winners will be chosen at random. The giveaway is open to UK entrants only I’m afraid and will close at midnight on Sunday 12th June and with any luck will get to you in time for father’s day if you were looking for something a bit more unique. Good luck! This article first appeared on MANFACE written by Thom Watson. It was published on Monday 30th May 2016 and was last updated on Monday 3rd April 2017 at 12:55pm. It's categorised under Shave where you'll find more related content.